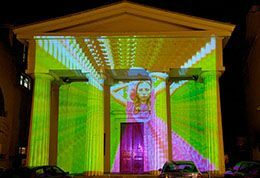 The University of Brighton was delighted to host the Fourth International Visual Methods Conference which took place from Thursday 16th to Friday 18th September 2015. The conference attracted attendees from across the globe including people from New Zealand, Singapore, USA and most European countries. Our programme combined keynote presentations, panels and papers, alongside workshops, screenings and exhibitions, aimed at promoting the cross fertilisation of ideas and approaches within disciplines and between visual research and visual practices including fine art, graphic design, photography and film-making. We were extremely pleased to host three compelling keynote speakers. Professor Gillian Rose, Professor of Cultural Geography, Open University; Joe Lambert, Executive Director of the StorCenter (formerly Center for Digital Storytelling); and Wendy Brawer, founding director of Green Map System promoting sustainability through Green Maps of the natural and cultural environment in more than 600 cities in 55 countries. This was supplemented with two focused strands engaging directly with local research interests within the University of Brighton. The first was on Digital Storytelling: Form and Practice where the University has a range of research interests and a second explored the visual navigation and articulation of place.The final programme is available here and selected proceedings from the conference are being published in The Visual Methodologies Journal. 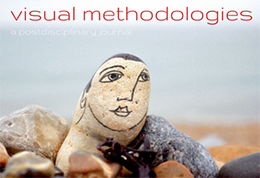 A copy of the journal will be freely downloadable from this website in the middle of 2016 and if you would like to be notified when this is available, please email visualmethods2brighton.ac.uk. You can also contact Mark Dunford, Conference Director on m.dunford@brighton.ac.uk or Isobel Creed, Conference Convenor on i.creed@brighton.ac.uk with any questions about the conference. Mark and Isobel are jointly editing the journal. 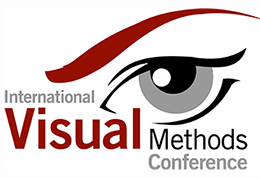 “I’ve been lucky to be at all four of the Visual Methods Conferences so far, and this one in Brighton has lived up to what’s become a very strong tradition. It drew a very diverse group of academics and practitioners together and gave them space to talk, think and play. Brighton was an ideally lively venue and it was good to see broad range of local and international speakers and delegates enjoying what it has to offer. As ever, one of the strengths of the format was encountering some genuinely different forms of scholarship on an equal basis. The focus on methods has meant that this has become a good meeting ground for the arts and humanities, social sciences and technology, and I hope it long continues in this vein. For me, there were two particular highpoints. The first was the space to get away from the relentless PowerPoint presentation plus ten minutes for questions format which always runs out of time and is sucking the life out of intellectual life in academia. Instead there were opportunities to participate in workshops, panels that made space for discussion and respect for the need for mixing time. The other was discovering that the cursory background digging I’d done when I first encountered digital storytelling was defective – they’re a really interesting group of people doing important things. It’s not the same things as the participatory video community I’m part of, but there are things to learn there. Now I’m going to the US in January to get some training.